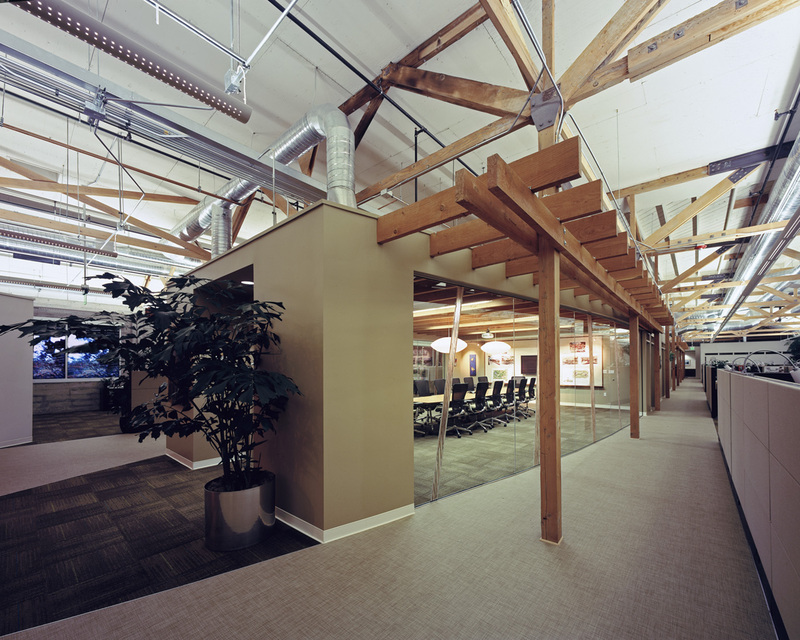 Lionakis programmed and space planned the entire space to maximize efficiency and growth potential. 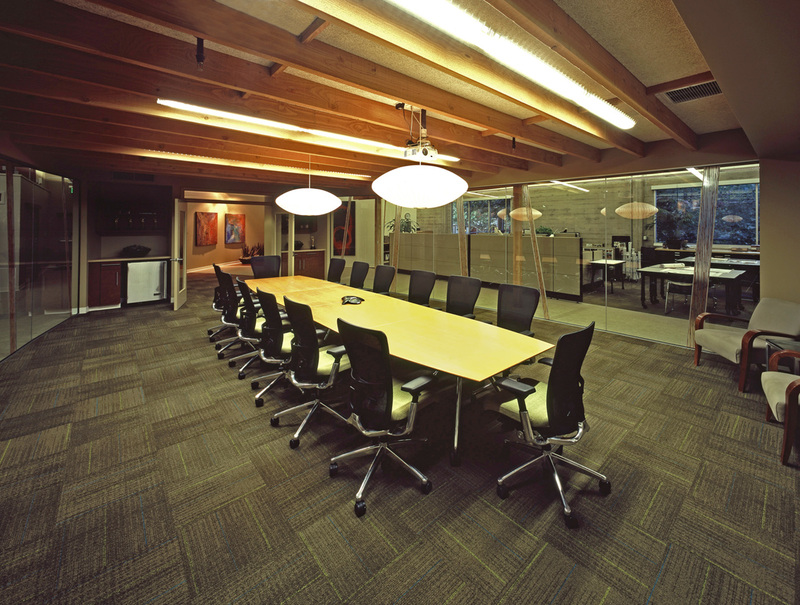 The space was designed to accommodate both private and team spaces for collaboration. 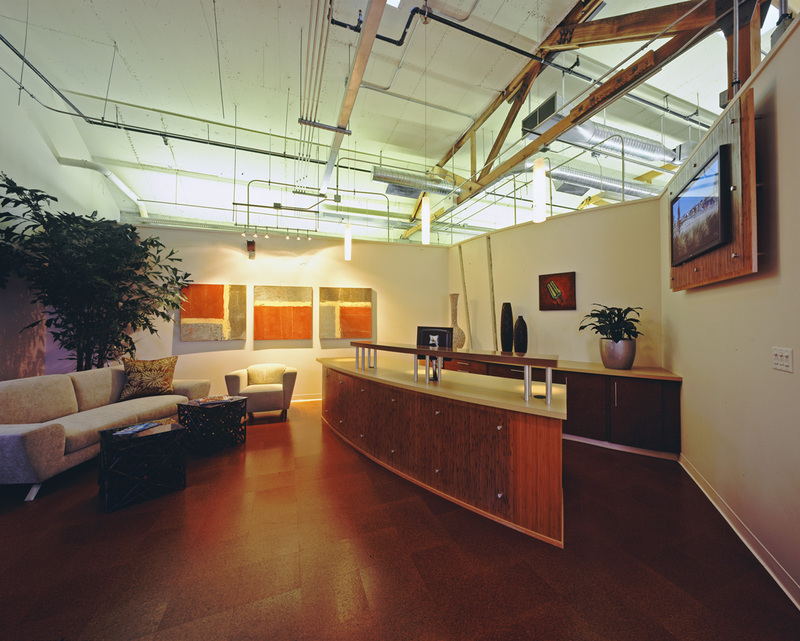 As a local landscape design firm it was important that their space brought the outdoors inside. Lionakis selected all finishes based on overall landscape ideas and the use of natural products throughout the space. Additionally, ecological sensitivity was a work space priority, we installed recycled-plastic flooring as well as boardroom chairs that are not only made of recycled materials, but also are fully recyclable themselves. Natural materials with attention to detail created the “trellis” space that is the center core of the spine. Staff also collaborates in pockets of mobile furniture.